"If you buy, you know, a box of cereal, if you do anything, you have a voter ID. … The only thing you don’t is if you’re a voter of the United States." By Louis Jacobson on Friday, November 16th, 2018 at 10:26 a.m.
President Donald Trump set eyebrows aloft with an analogy he used to explain election procedures in a Nov. 14 interview with the Daily Caller. Specifically, he said you needed more detailed identification to buy a box of cereal than to cast a ballot. "The Republicans don’t win, and that’s because of potentially illegal votes, which is what I’ve been saying for a long time. I have no doubt about it. And I’ve seen it, I’ve had friends talk about it when people get in line that have absolutely no right to vote and they go around in circles. Sometimes they go to their car, put on a different hat, put on a different shirt, come in and vote again. Nobody takes anything. It’s really a disgrace what’s going on. "The disgrace is that -- voter ID. If you buy, you know, a box of cereal, you have a voter ID. Well, over here, the only thing you don’t is if you’re a voter of the United States. A voter in the United States of America. I think it’s a disgrace what’s going on. Really a disgrace." There’s an easy tip for anyone who doesn’t want to show an ID -- either a "voter ID," as Trump put it, or just plain old driver’s license -- to purchase their Froot Loops. Use cash. Virtually any retailer will take it off your hands, no questions asked. In many if not most cases, credit cards are verified electronically at the point of sale, with no need for a separate ID check. Neither the National Retail Federation nor the National Grocers Association -- a trade group for independent and privately held retail and wholesale grocers -- said they tracked the percentage of retail outlets who demand a photo ID on top of electronic confirmation for credit and debit purchases. However, there are only "a couple of instances where identification is required, for example, the purchase of age restricted products," such as alcohol or cigarettes, Laura S. Strange, vice president of industry relations, communications and marketing with the National Grocers Association. In other words, you can feel pretty safe holstering that ID card if you’re just buying cereal. In the interview, Trump made it sound as if the election system is a wild west where anybody can vote as many times as they want without showing an ID. He’s wrong. Ten states have a "strict" voter identification law, meaning that voters without acceptable identification must vote on a provisional ballot and also take additional steps after Election Day for it to be counted, according to the National Conference of State Legislatures. Of these, seven require a photo identification card; three accept certain forms of ID without photos. An additional 24 states have a "non-strict" voter ID law, meaning that at least some voters without acceptable identification have an option to cast a ballot that will be counted without further action on their part. Ten of these states specifically require a photo ID. That leaves only 16 states that do not require documentation at the polling place -- California, Illinois, Maine, Maryland, Massachusetts, Minnesota, Nebraska, Nevada, New Jersey, New Mexico, New York, North Carolina, Oregon, Pennsylvania, Vermont, Wyoming, and the District of Columbia. Trump said, "If you buy, you know, a box of cereal, if you do anything, you have a voter ID. … The only thing you don’t is if you’re a voter of the United States." Anyone can buy a box of cereal with cash, ID-free, and in most cases they could pay for it with a credit or debit card without having to flash an ID, either. Meanwhile, many voters across the country do have to show an ID at the polls, contrary to Trump’s suggestion. 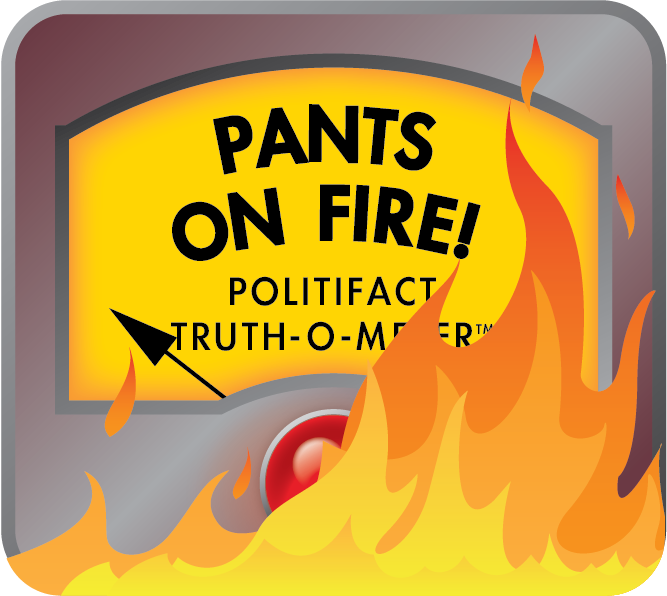 The statement is ridiculous, so we rate it Pants on Fire. Published: Friday, November 16th, 2018 at 10:26 a.m.